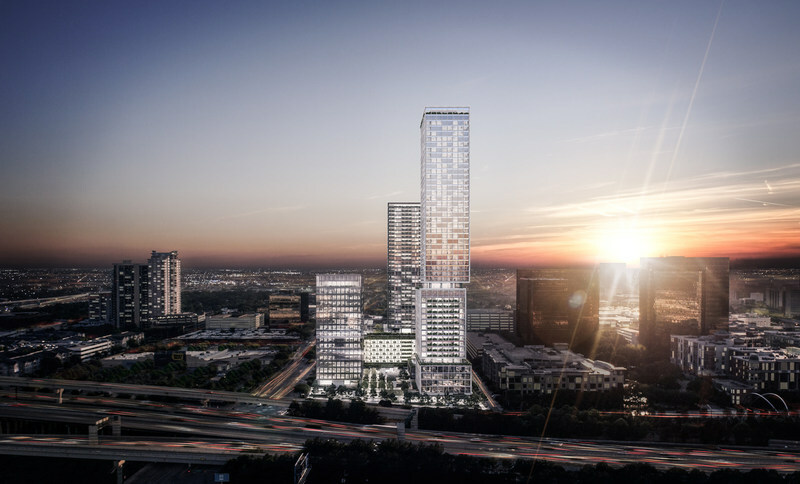 HOUSTON – (Realty News Report) – McNair Interests, a firm founded by Houston Texans owner Bob McNair, is planning a high-rise mixed-use development near the Galleria. The project, located on six acres at the corner of Post Oak Boulevard at Richmond Avenue, will include a 180-room luxury Rosewood Hotel, 80 condominiums, multifamily units, retail and an 18-story office tower with about 300,000 SF. Patrinely Group of Houston will manage the development of the project, which is designed by the Skidmore, Owings & Merrill architecture firm. Dallas-based Rosewood said in a press release that the upscale hotel will open in 2023. With an opening date that far into the future, it indicates that groundbreaking will not occur soon. As a single structure, the hotel and condo tower is expected to be over 50 stories tall. There will be a separate high-rise apartment building. The site is now vacant, but a Steak & Ale was located there before McNair acquired the site about four years ago. “Texas is the birthplace of the Rosewood legacy, which launched with the Mansion on Turtle Creek in Dallas in 1979, so we are thrilled to expand our presence in one of Texas’ most vibrant cities,” says Sonia Cheng, Chief Executive Officer of Rosewood Hotel Group. The development site is just south of the Waterwall park, just west of Loop 610 and sits on the north side of Richmond.